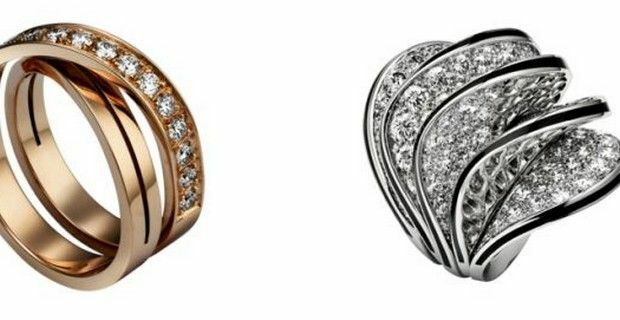 Cartier has released its brand new and stunning Paris Nouvelle Vague jewel collection. This new collection boldly follows in the steps of their 1999 original "Nouvelle Vague" collection and is naturally inspired by one of the most beautiful and romantic cities in the world, Paris, however the French luxury brand dedicates the Paris Nouvelle Vague collection to the “free-thinking, joyful, playful and mysterious” Parisian woman. The collection with its bracelets, necklaces, rings and earrings in gold, diamonds and precious stones celebrates seven aspects of the personality and moods of the Parisian woman, and for any other woman who adores and loves unique jewellery but doesn’t disdain contemporary and sophisticated pieces that will become timeless as the years go by. The Paris Nouvelle Vogue collection contains some very beautiful pieces to choose from, like fourteen different rings that are available in either 18k yellow gold, pink gold or white gold, which also naturally feature diamonds, while other some also have the diamonds juxtaposed with pink sapphires or pearls, or with precious stones like lapis lazuli, chrysoprase, pink opals, smoky quartz, haematites and amethysts. There are eleven necklaces in the collection, and like the rings are available in yellow, pink or white gold, that are encrusted with diamond pendants and also colored stones. The collection only contains three bracelets, but they are completely different from each other. One cuff bracelet can be matched to one of the rings, and is featured in 18K pink gold, set with diamonds, hematites, amethysts, smoked quartz and pink opals, while the second one is an 18K white gold triple-wave bracelet set with brilliant-cut diamonds and decorated with black lacquer. The third bracelet also matches one of the rings, and is in 18K yellow gold set with diamonds, lapis lazuli and chrysoprases. Eight different types of earrings are also available and like the rings can be matched, and the designs range from small studs to drop earrings. The styles in the collection go from minimalist to bold, graphic lines, while others are inspired by geometric forms or Art Decò.